My husband eats sandwiches every day for lunch. 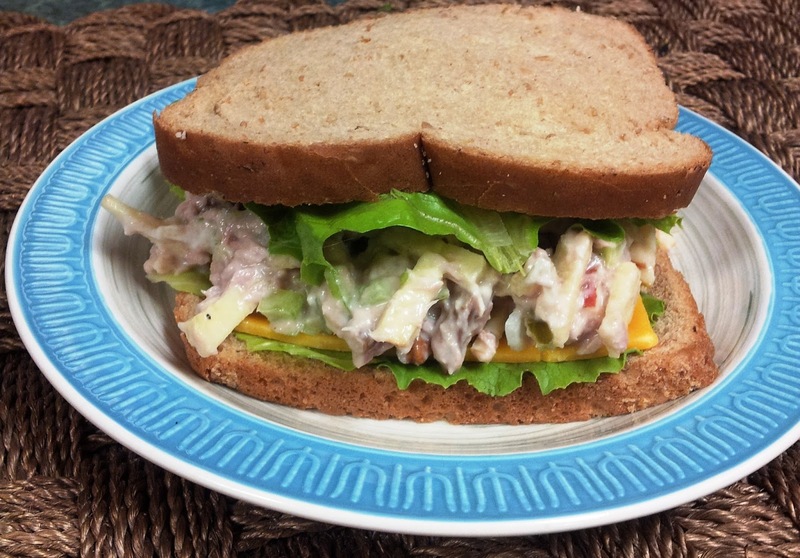 Usually lunch meat sandwiches with a different sauces to make them different. All in all, there isn't much variety but for the occasional egg salad. Then I saw tuna on sale. I had forgotten about tuna. We used to eat it all the time. I was never a huge fan of it but I ate it anyways. My husband though, loves it. So we bought tuna. He loves it and also loves that he has another choice for lunch now. I told him this was kinda like a Waldorf salad but with tuna. He loved it! My daughter put hers on lettuce or a wrap. That is totally the way to go. Little tuna appetizers. 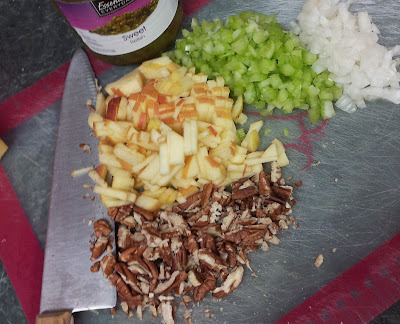 Combine mayo, celery, nuts, onion, relish and sugar. Stir in tuna and apple. 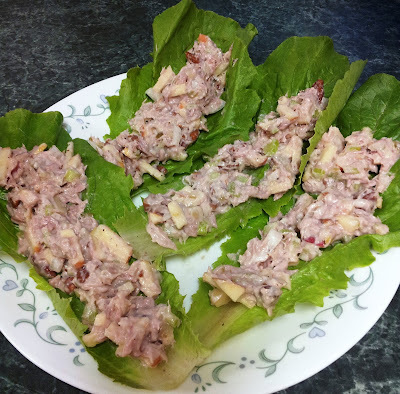 Spread on toast with lettuce or scoop onto lettuce leaves.